Only 6,353 Miles! Boasts 25 Highway MPG and 18 City MPG! This GMC Acadia delivers a Gas V6 3.6L/223 engine powering this Automatic transmission. WHEELS, 4 - 18" X 7.5" (45.7 CM X 19.1 CM) ALUMINUM (STD), TRANSMISSION, 6-SPEED AUTOMATIC, TIRES, P235/65R18 ALL-SEASON, H-RATED, BLACKWALL (STD). * This GMC Acadia Features the Following Options *SLE-2 PREFERRED EQUIPMENT GROUP Includes Standard Equipment, SKY BLUE METALLIC, SEATING, 6-PASSENGER (2-2-2 SEATING CONFIGURATION) (STD), RECLINING FRONT BUCKETS (STD), JET BLACK, SEAT TRIM, PREMIUM CLOTH, ENGINE, 3.6L V6, SIDI, DOHC with Variable Valve Timing (VVT) (310 hp [231.1 kW] @ 6600 rpm, 271 lb-ft of torque @ 5000 rpm [365.9 N-m]), AXLE, 3.16 RATIO, AUDIO SYSTEM, 7" DIAGONAL COLOR TOUCH SCREEN WITH INTELLILINK, AM/FM with USB ports, auxiliary jack, Bluetooth streaming audio for music and most phones, Apple CarPlay, Android Auto and voice command pass-through to phone (Includes (U2K) SiriusXM Satellite Radio. (STD), ALTERNATOR, 155 AMPS, Wipers, front intermittent with washers. 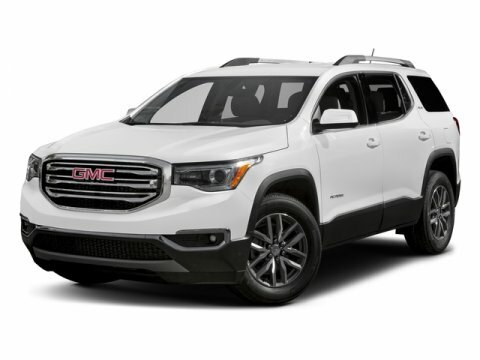 * Stop By Today *Come in for a quick visit at Bleecker Buick GMC, 926 E 4Th Ave, Red Springs, NC 28377 to claim your GMC Acadia!